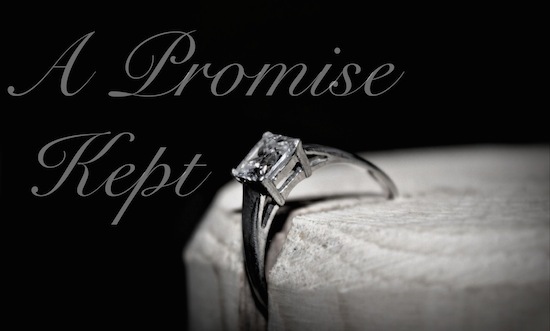 … but aren’t promises meant to be broken? No. No they are not. Promises should be kept, but sadly, many are broken. Weddings vows are promises, but divorce still happens. You say you’ll visit your friend/family member next week, no, you promise to see them; something else comes up. See? It happens all the time. But there are those times when promises are kept, we just fail to recognize that these promises were kept and so we fail to acknowledge them. Up until earlier this year I thought a promise that was once made to me was broken, which left a piece of my heart broken. Years ago I had a guy best friend who eventually become my boyfriend. A point came into our relationship where he gave me a promise ring that came with an actual promise: that no matter what happened between us, even if we broke up, we’d always stay friends. We eventually broke up… and didn’t talk for six years. A few months ago, we became friends again and it just hit me that the promise wasn’t broken. Sure, we had a six-year period of not talking to each other, but he came back into my life like a boomerang and it has been one of the best things that’s happened in the last few years. I’m so thankful that God answered my prayer that we would at least talk again, and He gave more than that. He gave me my friend back.